TL;DR Yes, Its theoretically possible to electronically track your currency notes with some modifications. Practically though, lot of money needs to be put in to make that happen. In the initial days of demonetization in India (in which, 86% of country’s bank notes amounting $210 billion, were rendered invalid in a matter of four hours), there was a huge fake rumour floating among social media channels that the newly introduced ₹2000 notes contained a “Nano-GPS” chip to track your currency anywhere on the planet. As an engineer, I couldn’t help but chuckle at the idea that someone could be fooled into believing that. The news became so big that the finance minister of the country had clarify in a press conference that it was indeed absurd. For the next couple of days, even I was lapping up all that the social media was putting out on the topic. It was giving you your daily dose of mindless entertainment. But then something hit me, “OK. What if this is possible?“. I was asking myself, “Let’s say, you as an engineer is given the task of doing something like this, would you take up the challenge of coming up with a solution of tracking currency notes in the country?” That really got me thinking. That’s the premise of my first blog post. How do you go about solving a technical product solution for tracking the currency notes? (Provided there is a solution even) This is my dig at providing a solution to this problem. So before you go into head first into solving a problem, it’s imperative that you put the ground rules on what is that you are trying to solve. I am NOT trying to put a GPS tracking chip on a currency note. Let’s think more general, what is the GPS chip actually trying to solve?? It’s the tracking feature that’s the important factor here(whatever be the baseline technology you use). So you got your first problem statement. Currency Note should be trackable. Thing is, currency notes were always trackable with their 9 digit serial numbers printed on them. We are looking for a solution in which tracking should be automatic and should not hinder the current existing way in which people use currency in a major way. For me the tracking should be unobtrusive, it should be somewhat seamless and each note should be unique in itself. Also we should be able to do it from a distance also where you cannot actually see a note. Else it will be like doing a physical search of someone and doing an optical scan off the serial numbers which they carry in their wallets every single time OR doing something like Eurobilltracker where people type the serial numbers to track where their notes are. Currency Note should be trackable, preferably from a distance and also it should be unobtrusive. Black Money hoarding in large currency notes to evade taxes. To know the amount of currency notes in actual circulation (aka non-hoarded money). Right enough of this, let’s get to the interesting part. How do we solve this problem as an engineer? Now comes the big challenge to choose what kind of technology you want to use to solve the problem. This is where constraints start coming into play. The major constraint is the note itself. Heck! it’s just a piece of paper and we don’t have much to work with here. After pinning down our problem statement, I am inclined to think that there isn’t a way other than the fact that you need to build a build a wireless system(For tracking from a distance) on a piece of paper. Hmmm… that’s a challenge alright!! Well I have been working with wireless and embedded systems for last few years now. The major technologies for tracking include GPS(duh..?? ), Bluetooth, WiFi (All the ones in the 2.4GHz family), GSM, CDMA , AM, FM, Radars or some sort of custom RF communication. They are active, meaning, they need a battery source to make them work. Now we can’t use them because of our constraint that we can’t place a large module or a battery on piece of paper(Although paper batteries have come a long way.) without effectively changing the form factory of your currency note in a major fashion. So what we are looking for a passive device without battery. That brings us to RFIDs(Radio Frequency Identification). In layman terms, you can assume RFIDs to be the big brother of your common cloth security tags(or stickers in library books) which you would find in the shops to prevent theft of items by sounding an alarm when you walk out through the security doors. From whatever I could research on, I believe RFID is probably the best technology bet for our problem. They usually consist of a “tag“(which you attach to any object) and a “reader” which helps you uniquely identify the tag when it is really close to the reader. These tags can be active(meaning requires a power source) or passive(doesn’t need a power source). So passive tags are the ones we want to be looking into. So basically all that a passive tag contains is a loop antenna and an controller IC. Where does the IC it gets its power you might ask? That’s actually got from the RFID reader. When the reader comes close to a tag, the magnetic field created by it, induces a voltage in the antenna of the tag and powers the IC, to generate a unique signal which is read back by the RFID reader. So RFID reader powers the IC without any batteries. That black rectangle is the RFID IC. There was no seam to peel off different layers so I assume they molded in the IC and the antenna together the plastic. If you look closely you should be able to see 8 dots in sets of four which corresponds to the molded copper wires inside plastic. I didn’t have acetone in hand, to melt away the plastic to extract the antenna section. After a lot scratching and cutting our IC pads are revealed which connects itself to the loop antenna. IC was around 0.33mm thick. This perfectly fits our bill for the basic technology part. Its relatively small, can potentially fit your note, its wireless and can has capability of providing unique IDs. Here is where things really start getting messy. We are trying to put an RFID to a piece of paper. First let’s see what we have got to work with. This is the new ₹ 2000 note. Its dimensions are 66mm x 166mm. Fairly decent space for us. But that’s not the constraint here. It’s the note thickness. I tried to find the ₹2000 note thickness but couldn’t find it online. But based on this reference, thickness of a ₹1000 note is 110μm (1μm = 10^-6 m), just a couple of human hairs thick. That’s something very small to embed electronics onto. Then it got me thinking, “How would I fit my electronics into in that thickness? ?” This got me to research on how in depth into how RFID tags are implemented. As shown the teardown earlier, all you basically need is a loop antenna and an IC. But now the problem is both of these have some significant thicknesses. 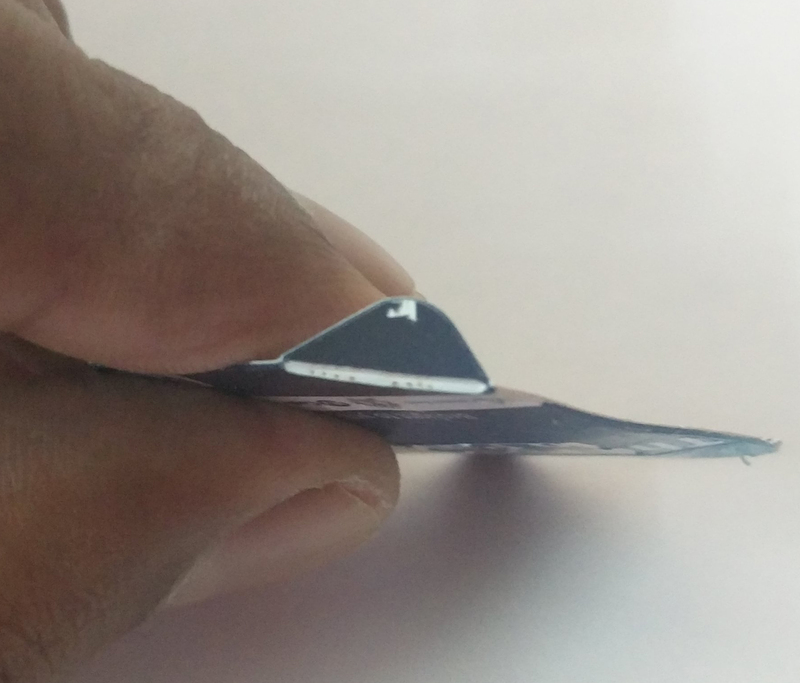 If you see all those RFID tags and your credit cards you will see that thickness of these cards are around at least 760μm which is 7 times the thickness which have to design our product around. This got me searching far and wide in search of a suitable IC which can fit our needs. Those normal SMD IC packages which you see in most electronic devices like TSSOP, QFN etc are around 1mm(1000μm) in thickness. I thought ICs in smaller thicknesses are impossible to find. 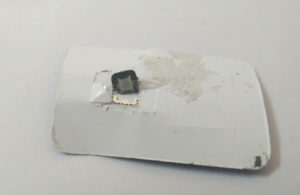 But I was able to find an NFC tag IC from NXP semiconductors, NTAG213 Series(Datasheet). NFC is a spinoff from the RFID technology with a bit more features. (Check here for differences between RFID and NFC). Right! Now we got IC we need, now for the loop antenna part. Now let’s lay down the specs for our design, let’s say if we are to embed an IC on the note and make sure that it is trackable, we need to define a range of the tracking. So what I am proposing now is this, Each note of ₹2000 will be tracked at all cash counters of all banks as its where money technically comes into circulation and also in most point of sale counters. So if we assume the tags to be embedded in notes, I want the notes to be trackable in public places, toll counters, state borders(to monitor cash inflow and outflow via roads) without introducing any sort of inconvenience to the public. So that means our RFID reader must be able to read information from any person/vehicle carrying a currency note in a 15m radius. Right now, I am not putting any restrictions in the RFID reader design, meaning I am not constraining it in its size or its power requirements because I intend it to be a fixed installation. Problem with most current RFID(or NFC ) tags is that it’s really meant for short range (few inches) data transfer with its reader. So we need to build one with a longer range. Gain of the reader antenna. Larger they are, the better. Tags work by getting its energy from the magnetic field by the RFID Readers, so larger the magnetic field(by larger size or larger power output) farther away the tag can be for detection. Now we get into designing of the loop antenna section for our tags. The maximum size of the antenna for us is determined by the currency note size, which is 66m x 166mm for a ₹2000 note. 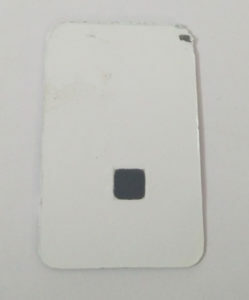 But this size is actually good for us because it gives us almost double the antenna size which can typically fit a credit card sized RFID card. If you are really interested to read about loop antenna design and how much magnetic field needs to be generated at the tag’s antenna I really recommend going through this brilliant AN710 – Application note from Microchip regarding Antenna design for RFID applications. I am not going in-depth on how to design one for our application. (I did some rough calculations based on our design and came to know that it’s fairly simple to design one with our requirements). By tweaking the power and size of the RFID reader we should be able to get a 15m range. For our design, I am proposing to go ahead with the printed versions of the loop antenna and not the enameled copper wire design which is usually used in RFID tags because of the thickness constraints. How does all this come together in a currency note? As discussed earlier, approximate thickness of a paper currency is 110μm. Well, we can’t basically print the loop antenna on paper so we have do it in a thin layer of material called polyimide. These are commonly used in flexible electronics(You might have seen them in flat cables connecting PCBs and are usually amber colored.) These are flexible and come in sheets of thickness as thin as 7.5μm. For our design, I am choosing polyimide sheet of thickness 12.5μm which is going to hold the 75μm thick IC as well as contain the printed loop antenna. As you see in the picture above, that’s how our new currency would look like. Assumptions I did was that, we can’t have printable paper thinner than 110μm(which may not be really true, but I am no expert in papers). Layers 1 and 5 will contain the normal prints and the security features which a normal currency note would contain. 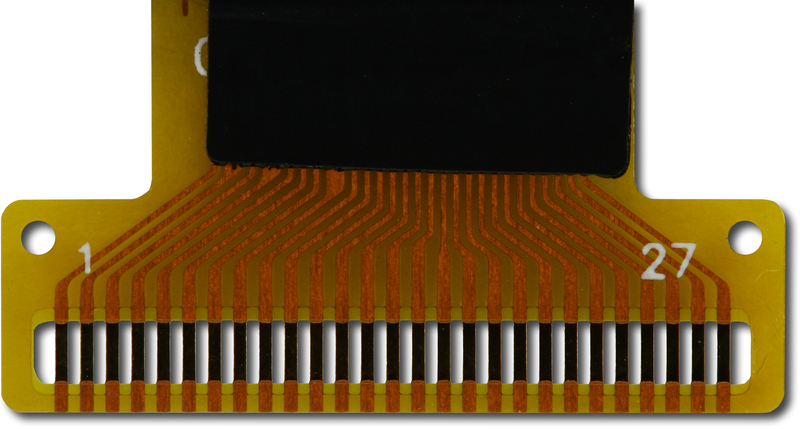 These two layers are attached to polyimide layer with a strong double sided adhesive layer which is 5μm thick. The ICs and the printed loop antenna will be soldered on to the polyimide substrate. Total thickness of the proposed currency is 242.5μm which is slightly more than double the thickness of the current notes, which is OK, as its still foldable in those dimensions but it’s still thicker than usual. So to sum it up, above stack-up does work with some flaws. Another option to reduce the problem of thickness is to go for an all polymer design or plastic currency. Few countries like Australia, Canada have been using plastic currency instead of currency made with paper for quite some time now. These are stronger, lasts almost 2.5 times the normal currency, are water-proof, doesn’t get dirty as its paper counterparts and most importantly it’s much harder to counterfeit because of its added security features. But it’s more costly to manufacture the actual plastic note than its paper version. Apparently RBI in India is planning to print plastic currency in the near future. So theoretically it’s possible to implement the above stack up much more easily by fusing the loop antenna and IC section into a single molded plastic layer(which contains the actual visual design of the each side of the note) which could be of the uniform thickness of 150μm – 200μm. This can potentially be a solution. Yes. It’s a challenge but I think it’s doable. It has more security features built in and is hard to counterfeit. So an ordinary paper note ₹1000 note with dimensions 177mm x 73mm costs ₹3.17($0.05) to print and ₹500 note with dimensions 167mm x 73mm costs ₹2.50($0.04). So printing costs of both those notes are only 0.3% and 0.5% respectively compared to the actual face value of the notes. So we can assume based on the new size of the ₹2000(166mm x 66mm) note, it will be around ₹3, which is only 0.15% of the face value of the note. So we are seeing an additional price of ₹9.5. But I am assuming this to be around ₹4-₹5 because of the volumes which we are talking about. If Govt of India decides to manufacture this in full scale the minimum order quantity will be atleast 100 Million notes/year. I expect the suppliers to drop the prices drastically seeing those numbers. Technology is frozen, manufacturability and cost analysis is a decent pass, now how does the system work as a whole?? The currency note with the built in unique ID tags are released via banks to the general public. 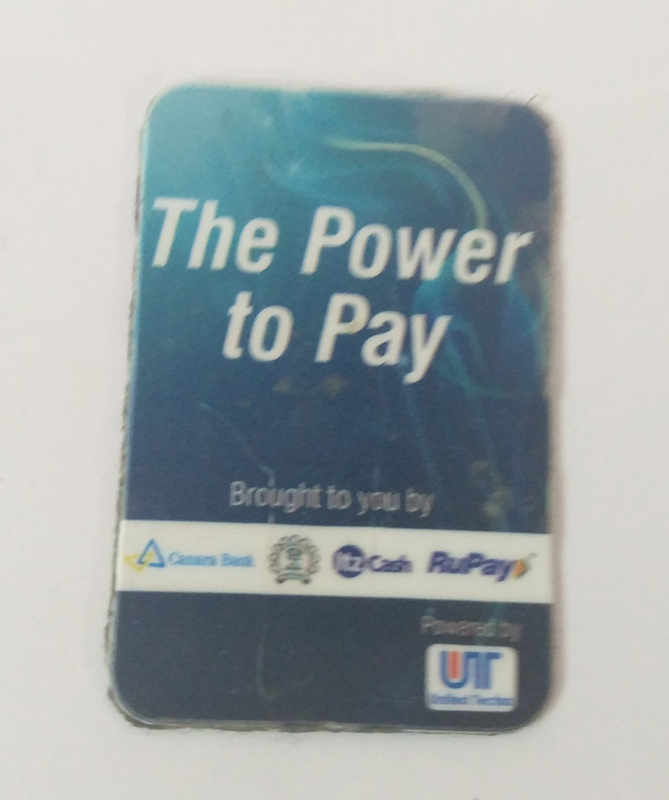 These tags, while they are transferred to the public, gets tracked at the initial point of dispersal with RFID readers in the bank cash counters automatically. 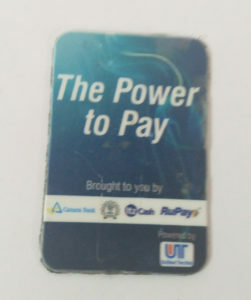 These notes can also be associated and tagged with the Unique identification number of the person who is withdrawing this amount. This same feature can be built into all the ATMs as they dispense the notes. Then it will be tagged against the person and his card. So this takes care of the initial tagging of all bank notes that goes into circulation. Now step 2 would be tracking the notes after the initial point of dispensing. This is where RFID readers in major road intersections and public places would help. These RFID readers would be powerful enough to pick up the tag information automatically from the notes inside your wallet, purse etc. on a 15m radius. All busy road intersections would be perfect for that data collection. Earlier I insisted that these high power readers be kept in toll booths and all state borders as it’s the major source of transfer of money via road. Let’s say a few bundles of these notes are put in the trunk of a car and it passes through a high power RFID reader, it should be able to detect the all notes. This is why I chose the NTAG213 IC as it supports anti-collision. Meaning if you try to read multiple notes at the same time the signals can interfere with each other resulting in none of the devices getting detected. Anti-collision algorithms implemented at the RFID Reader will solve that issue. Note: I am pretty sure everyone would be cursing me right now as this is a major privacy concern for all parties involved. Right now I am just looking at the technological aspect of the design and not the moral part of the entire exercise. Also Step 2 is not fully bug free as someone can effectively shield their money from getting read by RFID readers by potentially wrapping the money in Aluminum foil before putting it in your purse/wallet(aka cheap Faraday Cage). I haven’t found out a solution to this bypass hack yet. With all the above steps, I believe you can effectively track each and every currency in circulation. Although all of the above steps are not 100% foolproof its certainly providing something which is not existing right now and it can potentially help with the black money hoarding issue. Well the moral implications of such an implementation is still up for debate. Personally speaking, I would not be really comfortable with Govt. tracking my wallet everytime I go out (Not because I have something to hide, but because its simply unnerving). But this brings us to the question, if we ever want to become a truly cashless society doesn’t the Govt always know how much you have in wallet/bank account already? Tracking your notes is just similar to that. If you liked the post, Share it with your friends! Copyright © 2018 Amaldev. All Rights Reserved.